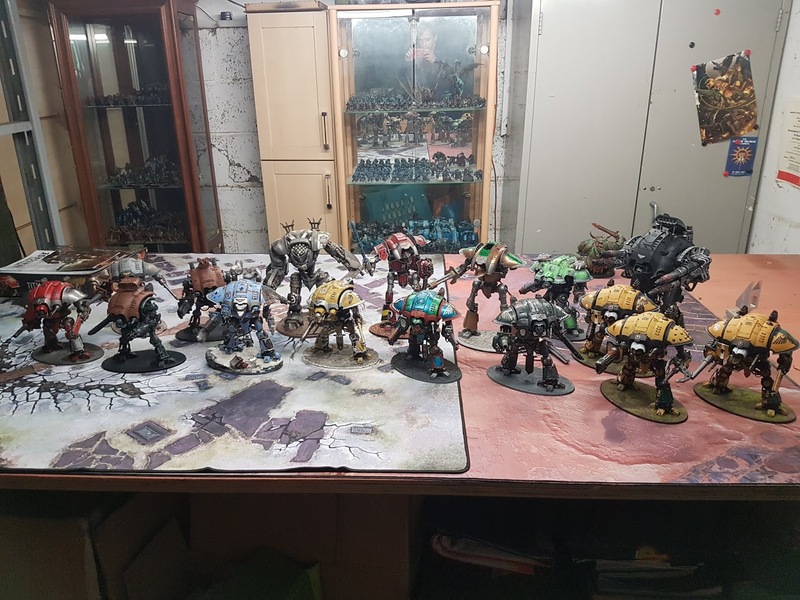 One man's, terrible, attempt to paint what's on his desk and play with what's been painted. 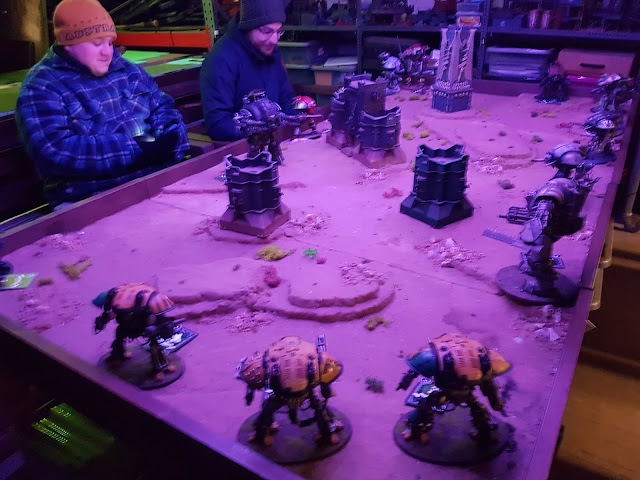 On a crisp morning in early January, 6 players turned up at an incredibly cold lockup in deep dark Essex clutches boxes of 28mm Imperial Knights ready to throw them in the ring and see who was still standing at the end. The game was planned by The League of Legends wargaming club as a pure gladiatorial knight bash, each knight would score points separately but each player could bring as many knights as you wanted to be part of their team. 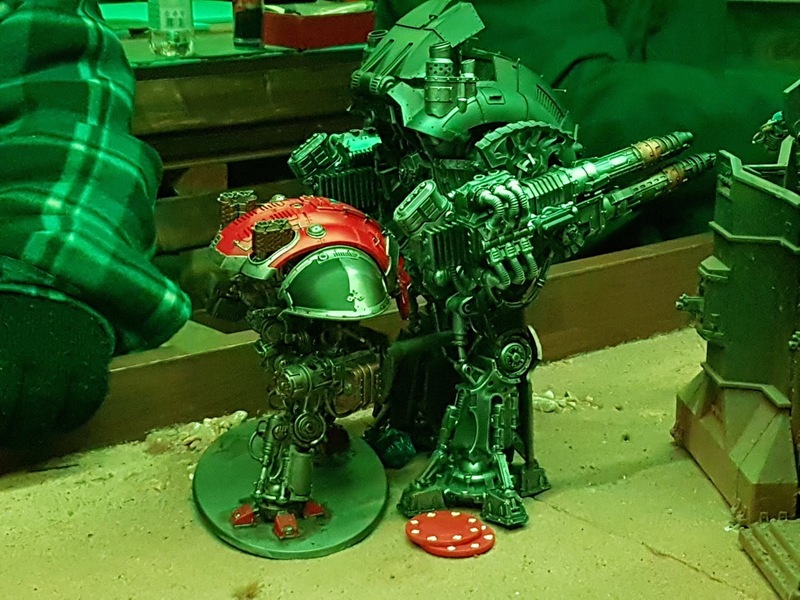 Each knight would also respawn at the next turn’s movement phase to carry on the carnage. We decided to use Warhammer 40k 8th edition instead of Warhammer 40k 7th or Horus Heresy 1st as in 8th every weapon can strip wounds from other models, stopping some of the more infantry tasked knights being completely useless. 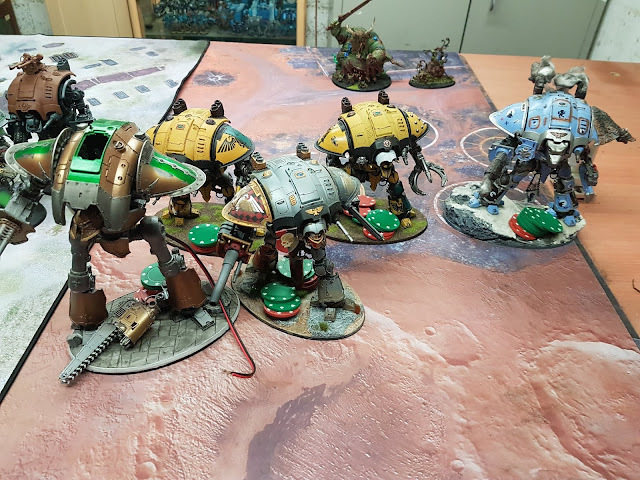 As we started the event there were 16 knights of all shapes and sizes including a handful of the forgeworld bigger knight classes, so the natural assumption was that they were be the runaway winners of the event. With this in mind, we picked our targets and started formulating tactics. As you can see from the photo, it was less than tropical in the lock up, my choice of a single fleece felt like it may have been a mistake but it didn't dampen the game. There were a couple of times where I had managed to clrat my half of the board before knights respawned and made it cluttered again. It turned out, that my trio was a pretty good choice to have in a team. It wasn't even just me with the questionable tactics. 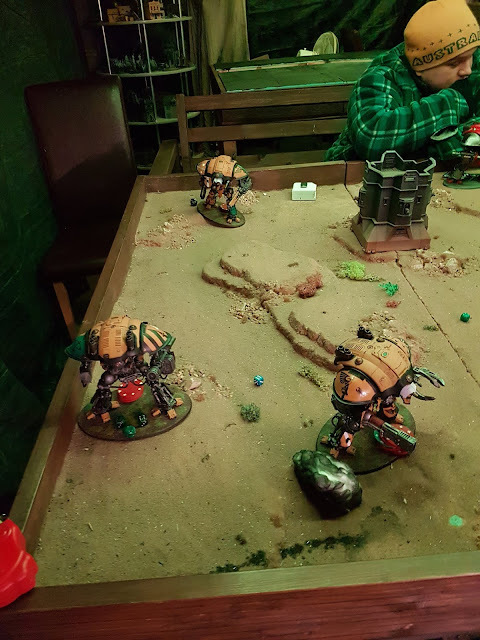 At the end of turn 6 we counted up the points on each knight to see who the winner was, and while I didn't win, having 2rnd and 4th places was amazing. Having lost each of my knights just once, and claiming no less than 6 knight kills between them, including two of the forgeworld sized classes, I was really chuffed with the day's gaming. 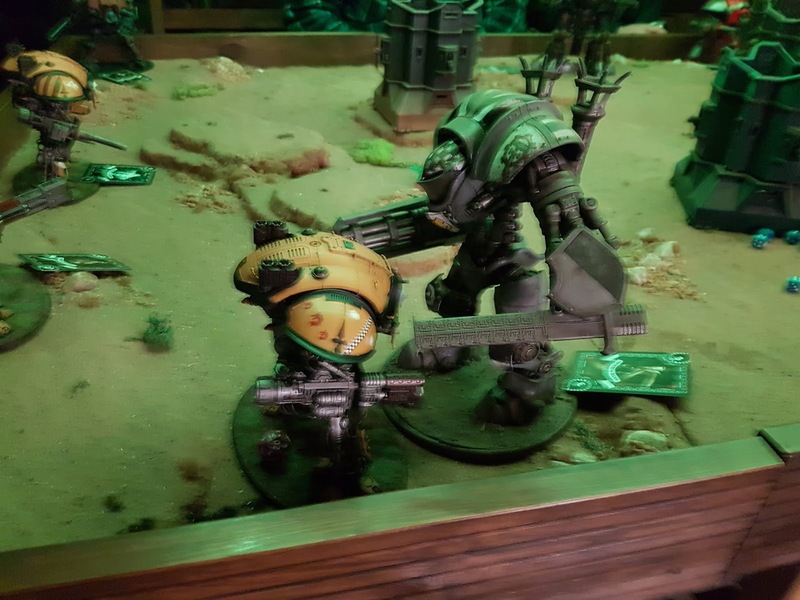 Lastly, seeing the top 5 only included one of the before mentioned forgeworld sized classes was also a shock, especially as 3 of the top 5 were paladins, which were didn't class as 'knight killers' but it all goes to show how when you start rolling dice, ‘Maths-Hammer’ can go out of the window. That's a great looking first photo - those are some incredible looking models!! I can honestly say that I've never had to wear gloves while playing a tabletop game, that didn't look like fun lol! It was a really fun day. The cold was definitely an issue, as I didn't have the gloves, hat or coats that the other players had. . . The markings of the insane.